From what I've heard, Coachella is an awesome festival to attend. Despite having the clear path toward a ticket this year and being within a few hundred miles of the venue, the festival still remains on my bucket list. Despite not being able to attend, I'm loving the immense amount of stories and new music that is coming from the festival. 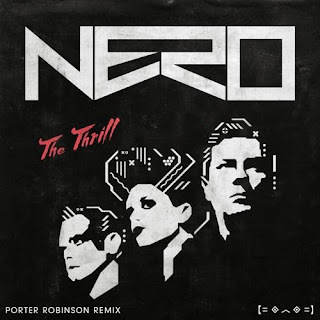 A few days back Ratatat debuted a new single and now we have ourselves a soothing, vibrant and bass heavy remix of Nero's The Thrill from Porter Robinson. "Make Me Wanna Rent a Room Up in This Chateau"
"Sometime I Feel Like I Never Slow Down"
"The Sun is Shining and So Are You"
"You Don't Wanna Be High Like Me"
"Spread it Like Peanut Butter Jelly"
"I'll Tell You All About it When I See You Again"
"Don't Throw Fists, Throw Parties"
"Whip Game on Bruce Wayne"